There are two spectacular waterfalls on the Cherokee Indian Reservation — Mingo Falls, north of town on Big Cove Road, and Soco Falls, east of town on US19 near the Blue Ridge Parkway. 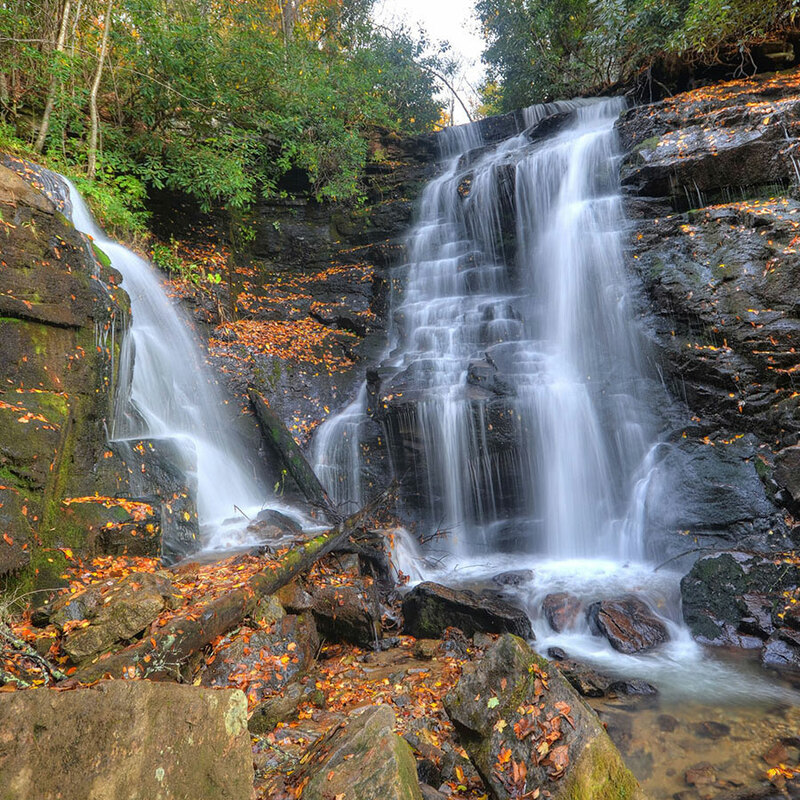 Meaning “Big Bear” in the Cherokee language, Mingo Falls is located in the Big Cove community just north of Cherokee. 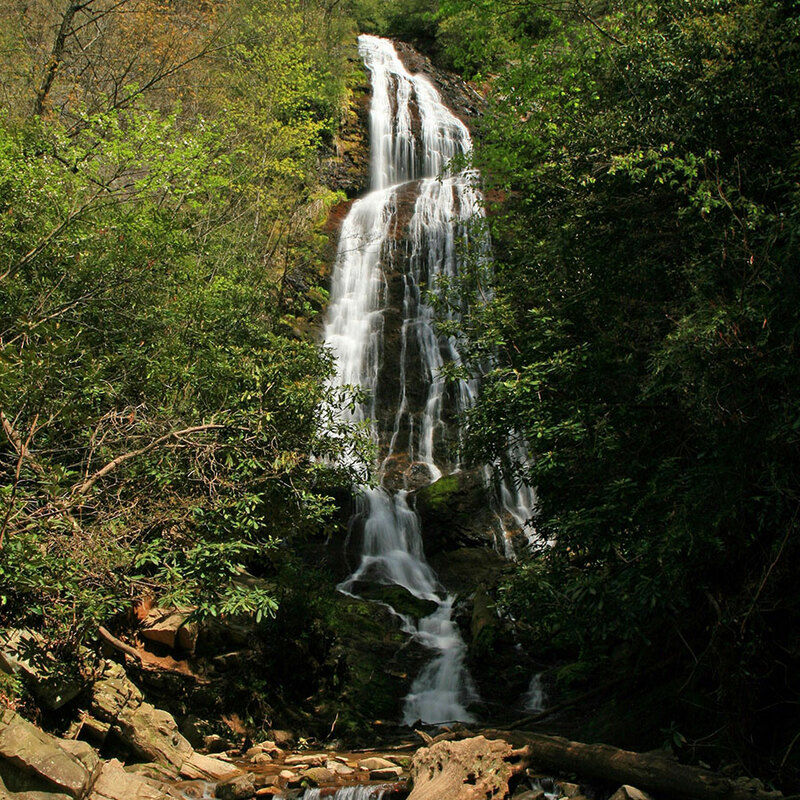 At 120-feet tall, it is one of the tallest waterfalls in the Southern Appalachians. From the Saunooke Village shopping area in downtown Cherokee, drive north on Big Cove Road approximately 5 miles (past the KOA Campground) to the Mingo Falls parking lot. The walk from the parking lot is short (just a hundred yards) but very steep. You’ll find this double waterfall on US19 about 11 miles east of Cherokee on the road to Maggie Valley. There’s a small pull-off on your right and a short walk leads you to a viewing platform for the falls. Coming from Maggie Valley, it’s 1.5 miles west from the Blue Ridge Parkway and will be on your left.